Mini Matters MINI Softshell Waterproof Covers with silky soft elastic casings. Designed for use with our Newborn Fitted Nappies or Flats. Adjustable to fit up to approximately 8kg (Newborn/Petite fit). Mini Matters MINI Softshell Fleece Waterproof Covers are designed to fit babies up to approximately 8kg in size. 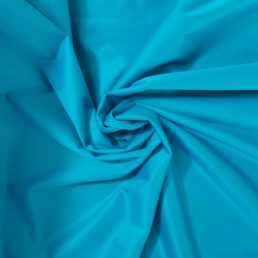 The covers are a good option for nighttime use as they offer breath-ability and silky soft elastics. 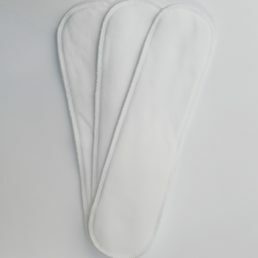 They have been designed to be used with our Newborn Fitted Nappies. They also work well over flats. Soft, fleecey inner with a hidden breathable waterproof film, giving you the softness and breath-ability of a fleece cover but with full waterproof protection. 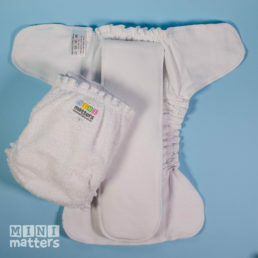 Wash covers with your other cloth diapers in a normal machine cycle. Do not wash at temperatures exceeding 40 degrees Celsius, do not tumble dry. The use of bleach and other chemicals can damage the PU layer. Line dry out of direct sunlight.